DURBAN, South Africa -- For most people around the world, Africa remains an exotic land of natural wonders that one hopes to visit one day. However, given the widespread perception that it can be a dangerous place for tourists, many tend to stay away. South Africa has been no exception to this view, though to a lesser degree. While regarded as the safest and most favored country to visit in the continent, South Africa still bears the stigma of a high-crime nation with many travel risks. However, with standard travel precautions, South Africa is a safe destination that offers visitors an exclusive and unforgettable experience, says the country’s newly appointed Minister of Tourism Tokozile Xasa. “Generally, I can say we’re a safe destination because we invest a lot as a country on ensuring that we provide safety -- safety for not just travelers but also our own population,” Xasa said during an interview with the East Asian press at this year’s INDABA travel trade show in Durban last month. “Since we hosted the World Cup in 2010, we’ve made a lot of investment to ensure that we fight crime, every incident of crime,” said the 52-year-old minister, who assumed her post in March this year after serving as South Africa’s deputy minister of tourism for more than a decade. The minister stressed that South Africa has been a safe destination for East Asian travelers, including South Koreans, for the past decade. Since adopting tougher security measures in 2010, South Africa has not received reports of any incidents targeting Korean, Japanese or other Asian travelers, according to South Africa Tourism, a semigovernmental tourism agency. In addition, Xasa pointed out that the crimes -- including those involving tourists -- that do happen in South Africa are not caused by its own population. Rather, the incidents are mostly triggered by illegal immigrants from neighboring states. To address this issue, the South African government is making concerted efforts to prevent potential incidents and to crack down on the perpetrators swiftly and effectively when they do occur, the minister said. Looking ahead, South Africa is out to ramp up efforts to make tourism a core component of the national economy. It recently launched the nationwide pro-tourism campaign called “We Do Tourism” designed to mobilize all South African nationals to contribute to making the country a welcoming place for visitors. The tourism minister also invited South Koreans and more Asian travelers to visit South Africa, which offers many natural sights and experiences at budget costs. The South African rand currently boasts a very favorable currency exchange rate to the won, not to mention the affordability of the food and sightseeing offerings across the country, Xasa highlighted. 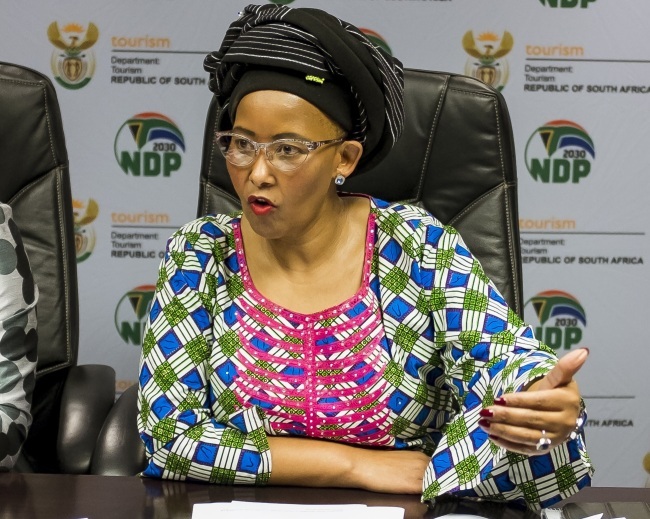 In addition, the South African government is also working closely with neighboring states to devise more attractive cross-border travel packages, as Asian tourists who make the long travel to South Africa are often interested in visiting other countries in Africa, the minister said.